Students may be eligible for Federal Financial Aid Programs and/or the State Financial Aid Programs to help them pay for college. By filing a FAFSA, you will be considered for all federal (and most state financial aid). 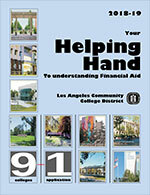 The following is information to help you learn more about the federal financial aid programs that are available. Learn more about the new limits on the semesters you may recieve a Federal Pell Grant. Learn more about the Federal Supplemental Education Opportunity Grant (FSEOG). You can use the link below to get even more information about Federal Direct Loans. Remember to borrow wisely! Download the Direct Loan request form. Many state funded programs still require you to complete a FAFSA along with other documentation. The following is information to help you learn more about the state financial aid programs that are available. 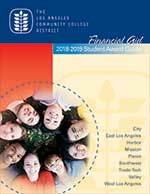 Learn more about the California College Promise Grant (formerly, BOGFW). Learn more about the California Dream Act. Please note: Students cannot receive financial aid for enrollment in audited or community services classes. If you decide for whatever reason to audit or enroll in a community services class or classes, you are not eligible for a California College Promise Grant (formerly BOGFW) or any other financial aid for this course(s). You are solely responsible for the payment of this class or classes. No exceptions to this policy can be made.